Achieving such great results and customer satisfaction woudn't be possible without our analytical drive, innovative features and the constant simplifying. Below you can find out, why our system is the best choice for both your club and it's customers. Club in a pocket. Your customers love mobility. Lower the number of phone calls and increase total reservations in the same time. Make your customers the best salespeople of your club by putting your schedule on their phone. Since now booking during lunch, work or casual conversation is matter of second. Available on Android and iPhone. Court reservations and sign ups for group reservation are available online on your website. Seamless and fast integration. The calendar was reinvented with close cooperation between reception us and club owners. The system is suited for everyday work, by automating the process. We provide support for both reception and club management. 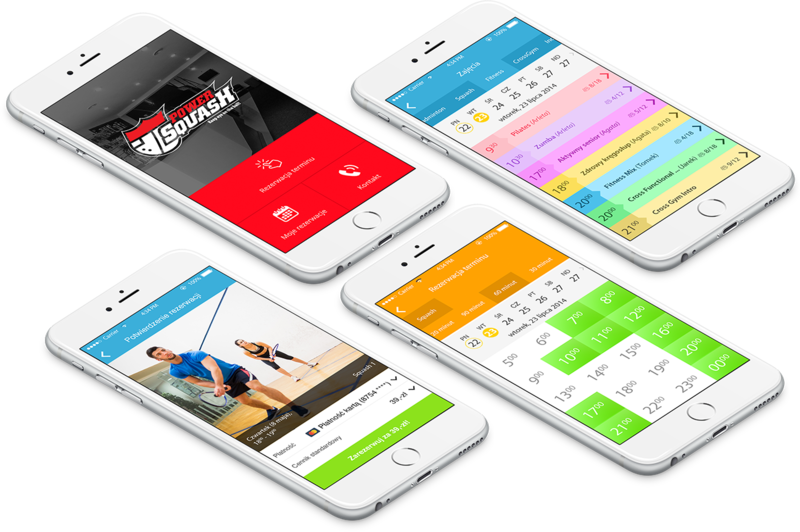 We are happy to share our experience based on hundreds of marketing campaigns for squash clubs. Logins? Passwords? Forget it ! Customers don't have to create accounts, fill forms and login fields. We base on the phone number solely. In Nature and calendar - nothing is gone for ever. With a single click you can easily browse through entire calendar history. Green Leaf next to reservation is a great thing ! You are awaiting new person in a club. It's great to welcome on board the new players and make them feel like at home. Simple and intuitive customer management with powerful annotations, SMS gateway and history, birthday reminders and grouping. The fastest way to promote your events and sales hours. Reach all of your customers directly. Campaigns might be splitted into groups to make it even more effective. Simple and powerful tools. Thanks to annotations, no important information will miss your or reception attention. ToDo List let you manage your reception remotely. Our solutions are always created with built-in security features. We respect both local law issues and the technical aspects. Backups, encryption, mirror servers and Cloudflare. It's all built-in.